IHBC SW: Committee matters and committee members. Wells Cathedral: The West Front  twenty years on. Common Sense Conservation  a practitioners view. IHBC SW Conference report: Access for All. Community History in Codford, Wiltshire. News from the South West: Dorset, Somerset, Wiltshire, Bristol and South Gloucestershire, Cornwall, Gloucestershire. At the Branch AGM on 19th April 2002 David Stirling wished to stand down as Chair but, in the absence of new nominations, agreed to "caretake" the role for a few months. Six months later there is still no volunteer for the role; our Branch also currently has no regular Branch Representative on the IHBC Council. The South West has the largest IHBC Branch membership (c. 220 and growing) and the current Committee needs your support. We appreciate that other interests are always going to be an impediment to getting involved, especially in a voluntary capacity, but please consider how you might be able to contribute and get in touch with a Committee member (list below). On a more positive note, Ian Lund has become Branch Secretary and Colin Johns will be Education Officer  he writes in this Bulletin. County Representatives remain as last year and Colin Ellis continues as Treasurer. 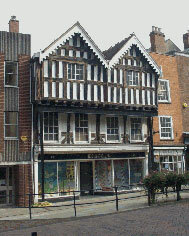 The Branch is an active participant in the South West Historic Environment Forum (SWHEF), a body set up be English Heritage to take forward some of the recommendations of the Governments A Force for our Future, particularly collaboration of organisations across the heritage sector and provision of training by coordinating initiates. The SW Branch accounts show a healthy balance following our annual conference in Exeter, a stimulating event on the implications of the Disability Discrimination Act attended by over 100 delegates - Nichola Mason reports on the event in the Bulletin. The Bulletin and the annual SW conference is the main means of keeping Branch members in touch - feedback on either would be welcome. Contact your local representative! The erection of scaffolding on part of Wells Cathedral earlier this year provided a rare opportunity to assess the performance of the conservation techniques used by Professor Blake on the West Front. The work, which was completed in the mid 1980s, pioneered many of the lime based conservation techniques in use today. At a seminar in Wells in July, David Odgers of Nimbus, a conservator on the West Front from 1980 to 1985, described how the conservation techniques used in the eighties have evolved. The use of hot lime poultices for cleaning has been abandoned in favour of other methods such as the use of ammonium carbonate poultices. Water cleaning has become more sophisticated with the development of digital timers for nebulous water sprayers. There is a greater tendency now to undertake trials to establish the most effective cleaning method, although this is often not allowed for in the tender process. The removal of old repairs and fixings is easier now as small abrasive tools and drills are more widely available. Sometimes the use of power tools is banned in specifications, which is a shame since, in the right hands they can be highly effective; another example of competitive tendering having to cope with the lowest common denominator. Despite the development of synthetic stone consolidants there is still a reluctance amongst some conservators to use such materials, and limewatering is still widely used. Mortar repairs are still carried out in a similar way, although there is increasing use of hydraulic lime and pozzolans. As an alternative to stainless steel armatures ceramic dowels are increasingly being used, as their physical properties are closer to those of stone. The process and materials used for sheltercoating have remained virtually unchanged. David concluded that there is a tendency towards a more formulaic approach to conservation these days, encouraged by the process of competitive tendering, rather than relying on developing the conservators skills and sensitivity to their work. He said that a major factor in the quality of the work carried out at Wells was the guidance of Professor Baker, in particular his emphasis on an appreciation of the art and art history of the West Front, with regular study days being held for the conservators. Inspection of the West Front in the afternoon revealed that there has been very little failure of mortar repairs; those which had failed could often be attributed to specific external causes such as a particularly water washed location, rather than to the quality of workmanship. In some places mortar repairs appeared to be developing sulphate crusts which will no doubt exfoliate in the future. There was very little new decay of original stonework. Sheltercoat had weathered off exposed surfaces but was still visible in sheltered areas. This is exactly what was intended, since the purpose of sheltercoat is to act as a sacrificial layer against the build up of calcium sulphate which only occurs in less rainwashed areas. The work carried out under Professor Baker appears to have been effective in slowing down decay of the stonework. However, todays approach to conservation may suffer from a lack of sensitivity which could be to the detriment of good quality work. Once again competitive tendering stands accused as the enemy of good conservation. 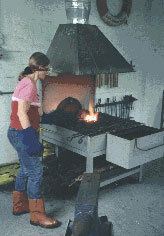 The issue of training and education is part of a continuing process. The Arts and Crafts movement sought to reject the products of the Industrial Revolution and bring back traditional craft skills. Even in 1950, the Gowers Report, which led to the formation of the Historic Buildings Councils, identified "serious problems connected with the care of ancient buildings" and referred specifically to the need to further the specialised training of architects and craftsmen. More recently, Power of Place has continued this theme with recommendations to promote conservation training; the Government response in A Force for our Future also recognises the need to address the current "severe lack of skills". The suggestion is to develop an integrated approach to conservation training and it is within this framework that the current IHBC deliberations on education and training are taking place. The Association of Conservation Officers (ACO) was founded in 1980 in recognition of the benefits to be achieved by a formal network and the exchange of information and ideas. The recent move to Institute status has brought with it the need to address education issues. All IHBC Regions have been requested to appoint an education contact, a role that I have agreed to perform for the SW. Course recognition and accreditation are key issues for the future. The Branch education function is seen as providing support for the IHBC Education Committee and representing IHBC education locally, including developing links with courses. The IHBC needs to establish which of its members are involved in course delivery and external examination. There is also the need to have available at Branch level a list of IHBC members, of recognised standing within the professional community, who are able to represent the Institute on recognition and other panels as necessary. The growing tendency for EH, HLF, and others, to seek to restrict some key conservation activities to those who can demonstrate that they are properly trained and experienced in building conservation presents an opportunity for IHBC to expand its role and work more closely with specialist course providers. It may not be the most exciting task but sharing and imparting knowledge is rewarding, and is crucial in raising standards for the future. When approached to write a piece for this bulletin, it was suggested that, as a practitioner, it might be useful to talk about conservation and repair skills. At first I began by listing the trades used on a typical contract. Alongside this list I noted one or more examples that would illustrate the skill in the carrying out of each particular trade. On doing this however I found that I kept diverting from each item to explain the reasoning behind the method and materials used in the example. This brought me to the point of asking, "What do we perceive as a skill?" I would suggest that skill has already been applied in writing the schedule of works. Whenever I see the line "allow for inspection by architect" I know that someone has used this skill to have seen beyond the visible problem and thought about the underlying cause. Yes, I know it is common sense, and that is possibly the first skill required as a conservator - the application of common sense. Common sense was the reason for carrying out splice repairs to a very exposed window frame using oak, rather than the material that had failed in that location since its last repair, six years earlier. Saving original material was behind the decision to cut away and replace the eroded backs of blind-arcaded parapet stones, rather than re-cutting all new. But it was common sense led the architect to take on board the suggestion of creating a lead hood-mould and drip on the rear face of the stones, to ensure the same problem was not likely to re-occur. During the last five years I have met some amazing people whose skill in carrying out their respective trades leaves me in awe, but for them to carry on completing the repairs we can admire for years to come, they require help. We have all seen repairs that have failed over relatively short periods of time and probably thought it to be the result of shoddy workmanship; but perhaps it was not altogether a lack of technical ability, but more a lack of applied common sense that was the repairs downfall. We need more than just skilled tradesmen. We need everybody involved to think about what it is we are trying to achieve and see if we can add just a few more doses of common sense to the mix. After implementing a common sense approach to the choice of method, material and plan of action, we can then use what is probably the next most important skill - patience - but thats another story. Brian Gibbons, Building Conservator, Ward & Co. The catalyst for this years IHBC SW Branch Annual Conference in Exeter in April was concern about the potential impact of the Disability Discrimination Act (DDA) 1995. From October 2004, the Act will require all service providers to take reasonable measures to remove, alter or provide physical features that make it impossible or unreasonably difficult for disabled people to use its services. This could well require the removal of steps, introduction of ramps and hand rails, signage, widening of doors and introduction of lifts or hoists into historic, and other, buildings. How can a solution, acceptable to both Conservation and Access Officers, be achieved? Nick Smith, Access Officer, Plymouth City Council and independent access consultant, kindly chaired the conference; Lisa Foster, LFJT Access Consultants, provided interpretation of the current and forthcoming legislation and an indication of how the courts are likely to interpret the weasel word reasonable. Lisa has been appointed by English Heritage to revise their access guidance, which should be published shortly. The experience of English Heritage was provided by Paul Velluet, Assistant Regional Director, London Region. Paul and Lisa were then joined by Lyn Grenville-Mathers, Director of Estates, Middle Temple, London, to present a joint case study. In the afternoon, Stephen Thorpe, Threshold Architects and Hilary Roome, Churches Officer at SPAB, explored the application of the legislation and potential access solutions. Jane Toplis of LFJT explored the difficult issue of tactile paving and street furniture - a benefit to some and a hazard to others. Finally, Julia Fritsch, Interpretation Manager, English Heritage gave a fascinating presentation of how to provide virtual reality access to otherwise inaccessible buildings. At the end of the day it was clear that more questions than answers had come out of the conference. Access Officers were not impressed by many of the solutions approved by Conservation Officers  and vice versa. The conclusion was that every case has to be treated individually. The use of the building, the cost of any proposed change, the income generated by the service within the building, the historic and architectural importance of the building, and the form of the building, all need to be considered before a proposal can be deemed to be reasonable or not. Access and conservation professionals working together can only make this sort of consideration. An indispensable tool for historians, the Victoria County History (VCH) is probably not well known to the general public. And it may surprise many to learn that a grand scheme to write the history of every English hamlet, every church, every street almost, has been in progress for more than a century, masterminded by the University of London. Some counties were completed long ago, others are barely started. In a dozen places, including Somerset, Gloucestershire and Wiltshire, small teams of historians (usually two per county) are doggedly working, parish by parish, accumulating histories into sumptuous large red volumes. Funding for the VCH, traditionally by local authorities, has always been precarious, and an imaginative  and very large  lottery bid has been submitted to safeguard and accelerate the project nationally. Preparing the bid has involved a general rethinking of the aims and methods of researching parish histories, and a number of experiments are under way. Wiltshires contribution to this reappraisal is the Codford project. Codford, two linked villages in the Wylye valley between Warminster and Salisbury, was scheduled for conventional VCH treatment in a few years, and the research on it has been brought forward. Alongside the academic work  on the history of its landownership, topography, religion, agriculture, trade, buildings, government and institutions  another strand is being woven into the process. This aims to involve the community itself in the process of exploring and writing its own history. A fruitful link has been established with Codford Primary School, and working with the teaching staff a series of local history webpages has been prepared for use in their keystage 1 and 2 history syllabus. The first section, on Travelling through Codford, can be visited now at www.historyfootsteps.net . An exploratory meeting with residents who were known to be interested in local history was followed up by an open meeting, with speakers from the Wiltshire & Swindon Record Office and the Wiltshire Buildings Record. A series of workshops, on house history, building recording and research in old newspapers, is planned for the autumn, with more to follow. Research conducted by local volunteers, which we hope will include one or more recording days run by the Wiltshire Buildings Record, will be incorporated into the VCHs own research. In about eighteen months time, we hope to have not only a conventional history for publication in the ongoing VCH series, but also a learning resource of lasting value for the school. And we are planning a more popular paperback history of Codford, which will include all the information the VCH usually publishes, as well as a great deal more detail about buildings, landscapes and society  a history of a community, which that community has helped to produce. In response to an item about Churchyard Monuments in Bulletin 4, Jonathan MacKechnie-Jarvis, an IHBC member, writes: "As DAC Secretary to the Gloucester Diocese, the fate of churchyard memorials, and in particular table tombs is a subject close to me heart. Gloucester DAC addressed the problem as long ago as 1960 when the late Dr Joan Evans launched a Table Tomb Fund which has grant aided scores of repair projects. More recently we have been able to channel more substantial aid from the Council for the Care of Churches and the St Andrews Conservation Trust. It is good to report that some planning authorities are also helping with conservation grants. Cotswold and South Glos have been especially active in this. Whilst much has been done over the last couple of decades to encourage Parochial Church Councils to take advantage of grant aid and tackle the deterioration of these wonderful tombs, overall the scale of the problem is huge  at a time when most PCCs have enough to do looking after the church building itself. The position of the local authority in relation to a closed churchyard urgently needs to be clarified. It seems clear that the maintaining authority is responsible for dealing with any issues of public safety. The more pertinent question is what happens about listed tombs which are not necessarily dangerous, but which are deteriorating and are thus buildings at risk in the conservation sense of the term? Readers may like to know of our advice sheets for parishes which cover conservation and financial issues. See www.glosdioc.org.uk. Go to downloads section and look for CH 009 under Churches/Pastoral. The Hoe, Plymouth. The pool and associated buildings were planned, designed and constructed between 1925 and 1938 by the Borough Engineer, J.S. Wibberley. There are only ten listed lidos in the country, all grade II (except for the grade II* Jubilee Pool in Penzance) and it could be argued that Tinside is one of our finest examples because of its spectacular setting against Plymouth Sound and the survival of earlier Victorian and pre-war bathing structures around it. Unfortunately the foreshore structures have suffered from neglect and, as fashions have changed, the need to provide a choice of activities and new facilities. Plymouth City Council is now committed to the restoration of the pool and the wider foreshore.and the £5 million restoration of Tinside, the Colonnade and the Foreshore is part of a wider regeneration plan of the Hoe and Foreshore - an important part of the renaissance of Plymouth as a seaside city. The City Council commissioned Alan Baxter and Associates to produce a conservation plan for the site and the Hoe foreshore. Through the assessment of the cultural significance of the foreshore structures, the document has become an invaluable tool in informing the future restoration. The restoration of the Colonnade is near completion and works to the pool structure have commenced. These include the rebuilding of the pool floor and sides and installation of a new filtration system. A new floor base will be anchored and supported by piles driven into the bedrock. The second phase will include the repair and restoration of the changing block building with the possibility of providing a cafe/bistro use to encourage a night time economy in the area. Consents for renovation and extension of Burdenwell Cottage were granted subject to a condition for historic building recording in advance of and during the renovation works. Cornwall Archaeological Unit led by Nigel Thomas and Eric Berry were commissioned by the owner of the property to carry out the recording, which took the form of a photographic and measured survey and archaeological investigation during lifting of flagstone floors. Analysis of the building identified some cob structure and a single early roof truss surviving in the gable wall. Earth floor surfaces were revealed beneath a flagstone floor and lines of disturbed material indicated the positions of earlier thicker walls. The building as a whole has origins as a house with a cross-passage plan, probably built in the late medieval period (late 15th/early 16th century). There is, however, no evidence that this building was a true longhouse (humans and livestock sharing a single building). A record of historic fabric, made prior to the inevitable disturbance caused by renovation, led to a far greater understanding of the evolution of this rural vernacular building. Work continues in the Dorset and East Devon Coast World Heritage Site to improve and rationalise the interpretation of the site and to develop a strategy to deal with the wider questions of the transport and tourism infrastructure. The ninth Dorset Architectural Heritage Week was held in September. This year a Dorset Architectural Heritage Week Association took responsibility for the event. Improvements have been introduced that were suggested by owners and participants and our sponsor for the event, The Institute of Commercial Management, helped us expand the event with a Dorset Architectural Heritage Fair. In the beautiful setting of Kingston Lacy building owners and the general public were able to meet all sorts of local craftsmen, specialist conservation contractors, and suppliers of traditional building materials. One of the most recent listings in the county is of a small hand-pumped fire engine house in Maiden Newton. The new village of Poundbury on the outskirts of Dorchester is growing in leaps and bounds and attracting many visitors to the farmers markets now held regularly in the main square. 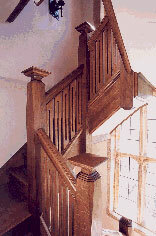 The Somerset Building Preservation Trust Award Scheme has announced its 2002 awards: a new staircase at Barrington Court by Philip Hughes Associates for the National Trust (see photograph); The Tower House, Crewkerne, a new private house by architect Malcolm McCall and the conversion to workplace and living accommodation of the Provender Mill, Bruton by architect SP Merer. Commendations go to conservation work at the reredorter, Muchelney Abbey, a new teaching block at Huish College, Taunton and the conversion of the coach house at Hadspen House. The next round of awards will be made in 2004. Keep it in mind for those currently completing projects. The attempt by Somerset County Council to compulsory purchase Grade II* Williton Workhouse has failed. The Secretary of State declined to confirm the Order after a Public Inquiry and it remains to be seen whether her faith in the developer owners ability to repair the decaying 1838 building by George Gilbert Scott is well placed. South Somerset District Council has acquired the Higher Flax Mills at Castle Cary with grant aid from English Heritage in order to help secure the unique production of horsehair upholstery fabric by John Boyd Textiles Ltd who continue to produce patterns from the 19th century on looms dating from 1870. Conservation Officers in Wiltshire have continued to develop working relationships with the County Archaeological Team and there are currently two special joint projects: The first is the publication of archaeological studies for each of the countys current and former urban areas. These extensive urban studies will be used to formulate archaeological policies for each area. It is unlikely that they will be adopted as formal Supplementary Planning Guidance because of a burdensome number of bureaucratic obstacles that would need to be jumped in order to link with the various Local Plans in operation. The Archaeological Team are also producing a digitised interpretation of the Sites and Monuments Record that will be made available generally via the Geographic Information Systems operating in the Districts. The information will provide guidance on archaeological potential and likely archaeological response. The Conservation Officers Group have invited Dorothy Treasure, the Organiser of the Wiltshire Buildings Record, to become more formally involved. As well as a collection of records of the countys buildings the WBR has published a number of useful publications about Wiltshire buildings (Tel. 01225 713740). News from the Salisbury area suggests that the tail may be wagging the dog in the designation of new Conservation Areas. The Council appears to have adopted a position way beyond that outlined in planning law and practice. A rigorous requirement to consult with all owners, occupants, business, etc prior to designation seems to be hindering the adoption of much needed controls and policies. The wider implications of this unique approach may need to be considered again in the future. The Salisbury Diocesan Advisory Committee is to continue to go it alone without Conservation Officer representation. The sole local authority voice will be provided by Steve Wallis, Senior Archaeologist for Dorset. A vacancy exists on the IHBC South West Region Committee for a Wiltshire representative. Any Wiltshire-based member interested in filling the void should contact Ian Lund. In Bristol, the Arnos Vale Cemetery, an early Victorian landscaped cemetery, has been the subject of a Public Inquiry about a compulsory purchase order issued by Bristol City Council. After several days in May, in which the Councils witnesses gave extensive evidence about the cemetery, including the condition of the fifteen listed buildings and monuments on the site, the private owners decided to withdraw the objection to the CPO. If the CPO is confirmed, the cemetery will probably come into the ownership of the Council in the Spring of 2003, and will immediately be leased to the Arnos Vale Cemetery Trust, who will undertake the day-to-day running of the site, and begin the restoration of the buildings and landscape. A Stage 1 Grant application has been approved by the Heritage Lottery Fund, and a Stage 2 application is currently being prepared. Other funding will come from English Heritage, the City Council and from local fund-raising by the Trust. Meanwhile in South Gloucestershire the District Council, with help from EH, have been funding the repair and restoration of the 14th century barn at Winterbourne. The work is now nearing completion. Cornish conservation officers have met regularly over the last six months. In April, Andrew Richards of Kerrier organised a visit to Godolphin House and in May there was a visit to Truro Cathedral organised by John Gould of the County Archaeological Unit. In August Tim Kellett, Project Officer for the Falmouth HERS, arranged an evening at the Falmouth Maritime Museum. The interiors are spectacular; there is a wonderful opportunity to view the panorama of the third deepest natural harbour in the world and to enter the tidal gallery to view the depths below. In September a well-attended meeting was held at Cornwall College to discuss the shortage of traditional craft skills in the far South West. Andrew Richards proposed a pilot study to set up training courses for both contractors and agents in craft skills, particularly traditional Cornish scantle slating. Viv Stratton from the College provides a craft masons course and will be able to work with the conservation officers to set up a one-off course involving real projects from a selection of grant aided building in HERS and THI schemes. Kate McCavana from the Objective One Office will help coordinate the work to ensure that it complies with long-term national strategies, skills audits, training and accreditation. One of the most helpful features of many local planning authorities' websites is the inclusion of key planning documents, such as the local plan, or various items of supplementary planning guidance. This process has now started at Cotswold District with the Buildings at Risk Register, and the first conservation area statement (covering Chedworth), now available on their website. Other guides, such as the Cotswold Design Code - the key item of design guidance linked to the local plan - will all be included on the website over the next few months. Visit www.cotswold.gov.uk. In Forest of Dean the historic free-standing stone bee bowles (grade II*) have been moved from their former home at Hartpury College to the nearby Hartpury churchyard. The Bee Bowles - a series of decorated compartments for bee "skips" - was rescued from the threat of demolition in Nailsworth in the mid 1960s by the County Beekeepers. They were re-erected at the agricultural college but, surrounded by the ever expanding college and unappreciated by the students, they became the repository for Wellington boots and used as a goal for football. By the 1990s, they were on English Heritage's and the Forest of Dean's BAR registers. Nailsworth wanted the structure back but the journey was long and they could not re-erect in the original position. Agreement was finally given for their re-erection a few miles away by The Hartpury Historic Land and Buildings Trust. With Heritage Lottery funding, and through the hard work of the co-ordinator using conservators to rebuild and restore it, the official opening (followed by a bee fete) was performed on 20th September in the churchyard of Hartpury Church. Contact Bill Cronin 01594 810000.